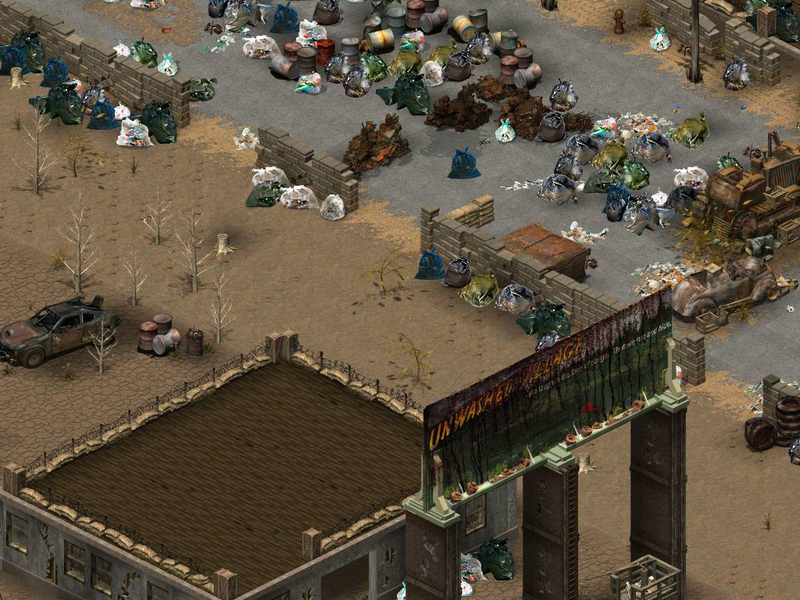 Discussion in 'Fallout Tactics Modding' started by nadeauhugo, Jun 18, 2018. Hi guys! I just had a crazy idea (which is not mine, but theirs actually) : restoring the Unwashed Villagers group to their former glory! I know they are slowly dying (probably already dead), that their members are supposedly old and not making any projects anymore, that nobody in that group makes new projects, that they are known for their strange humour, that anyone may join, that they are originating from Interplay Fallout 2 boards, that NMA was probably created at the same period, that they inserted a joke location in Fallout 2 (http://fallout.wikia.com/wiki/Unwashed_Villagers), that they have a steam group of 17 members (16 before I joined) but it doesn't look active at all (https://steamcommunity.com/groups/UVSteam) and finally that they have an active, minimalist website : http://unwashed.eu/, but it could be so much more. I asked them to join the group on their site, but I don't know yet if they will reply to me, and honestly it does not matter much, right? So! Anyone wants to join me? I am sure that many people here don't wash thaaaat often, have a intuitive affinity to that group, I mean a similar approach (namely geeks, game creators, modders and Fallout fans who have a dark/strange-humour approach in their mods/games like Fallout original team had, people that also like to add many easter eggs and movie references to their creations...). So! You feel like you are connected to them in some ways? Just join! Don't think I'll join. But does seem to have several interesting ideas. Ha do it! I'll just finished my Unwashed village some days ago and had so much fun making it. This and many silly other easter-egg/joke-like locations. I'll share some pics with you when I'll get to my other computer. Sounds good. I saw this one over on your page.